She was something of a beloved star in China and her birthdays were often celebrated with gusto. 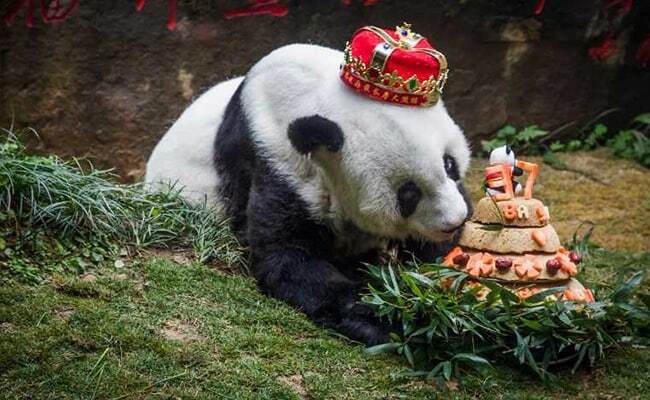 Shanghai, China: The world's oldest captive giant panda has died at age 37 -- more than 100 years in human years -- her handlers in China said on Thursday as they gave "Basi" an emotional send-off befitting a minor celebrity. Basi outlived most of her peers by nearly two decades -- Pandas in the wild have an average lifespan of about 20 years, but those in captivity generally live longer. State television reported live on Thursday from the zoo where Basi lived in southeastern China, which held a memorial in her honour. "With a heavy heart, we solemnly announce today that the original model of 'Panpan', the mascot for the first Asian Games (in China, 1990), and an angel of friendship both at home and abroad, giant panda star Basi died at 8:50am on September 13, 2017 at the age of 37," the Straits Giant Panda Research and Exchange Center in Fuzhou said. Basi had lived at the facility since being rescued from the wild after she fell into a river in southwestern China at the age of four or five, it said. She was named after the valley where she was found. Basi spent some time abroad when she was loaned to the San Diego Zoo for six months in 1987. Giant pandas have a notoriously low reproductive rate, a key contributor -- along with habitat loss -- to their status as vulnerable on the International Union for Conservation of Nature's (IUCN) Red List of threatened species. The black and white bear, which symbolises wildlife protection efforts worldwide, was previously classified as endangered.